...from your bed in Villa Mirca! You dream about watching the sea and listening to the waves as soon as you wake up in the morning? Villa Mirca can offer you this and much more! With perfect location right on the beach, spacious interior and seaside terrace, heated swimming pool and many available activities, it offers both relaxation and fun for large families or groups of friends. Villa Mirca can accommodate 14 to 17 persons in 7 bedrooms, 4 of which are situated on the sea side of the house offering sea views right from the beds! Open space ground floor consist of big living and dining area, fully equipped kitchen and billiard table room for a lot of fun in the evening. From the living area, large glass doors open towards the main terrace and swimming pool area. The ground floor is completed with small gym, laundry room, guest toilet and one large double bedroom with additional sofa and en-suite bathroom with large walk in shower. Wooden staircase leads to the first floor with 6 more double bedrooms. A double bedroom and a twin bedroom share one bathroom and all other bedrooms have their own bathrooms en-suite. 2 of the bedrooms have balconies with fabulous views of the sea and sunsets and another bedroom has a nice big terrace with garden view. All bedrooms are individually designed so each guest could find a match for themselves! In 3 of the bedrooms are additional single sofa beds, so the villa can accommodate up to 17 persons in bedrooms and nobody will sleep in the living room. The main terrace and the 28m2 heated pool are positioned only few steps from the beach and the sea. In the shade of pergola and an old oleander tree is a big table for al fresco dining and swimming pool is surrounded with the number of sun loungers. At the back side of the villa is a small roofed patio next to a big BBQ and a place for ping pong table and playing. Villa also has gated parking place for 3 – 4 cars and a small flower garden with old olive trees and grapes vines. Villa Mirca is situated in the waterfront center of village Mirca, only 1 minute from a restaurant and a beach cafe and only 3 km from the lively town of Supetar. Every day cleaning service, free WiFi and air conditioning in every room, all is included in the price for maximum comfort on your holidays! SCROLL DOWN for more information about our SERVICES, villa's LOCATION, PRICE AND AVAILABILITY , view more photos in PHOTO GALLERY or CONTACT US to book your beachfront vacation in Villa Mirca! Warm welcome from the owners and locals, but high level of professional service at the same time! Villa Mirca is semi-detached. In the neighbor house is our office/reception where you can talk to the villa manager who will be happy to advise about things to see and experience during your holidays on the island, reserve a table for you in recommended restaurants or help with booking additional services and activities for an unforgettable holiday on Brac island! Contact us for help with booking additional services in advance! Keep in mind that the pool in the villa is not gated! The maximum depth s 1.70 cm. 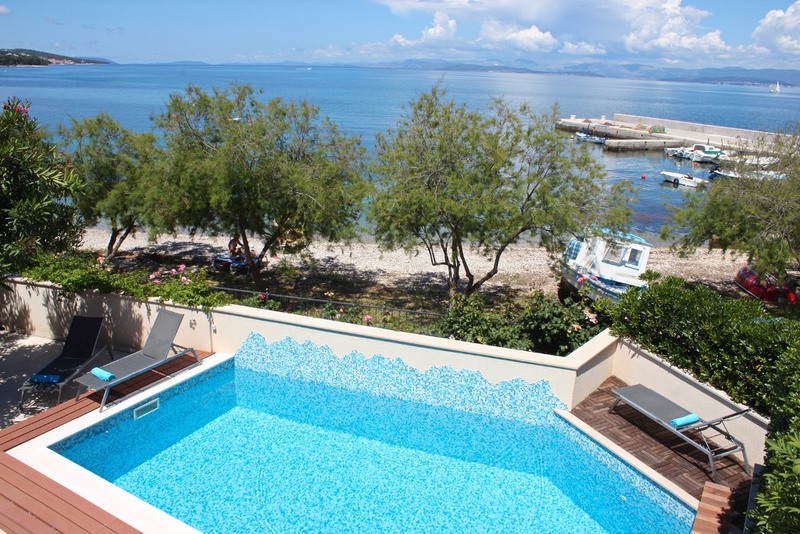 Brac island and Villa Mirca are ideal for those seeking for an active vacation in clean and peaceful environment, especially in spring and autumn! Size of the villa is perfect for active groups, beachfront location just calls for water sports and surrounding nature is dotted with trails. We have additional terrace for your gear and roofed storage for bikes. Equipment rental is available locally with free delivery to the villa and we will be happy to recommend best local guides and guided tours. ...clean nature, great food & much more! SEND US AN ENQUIRY AND TOGETHER WITH OUR FRIENDS AND LOCAL PROVIDERS WE WILL PUT TOGETHER AN ACTIVE WEEK TAILOR MADE FOR YOU! 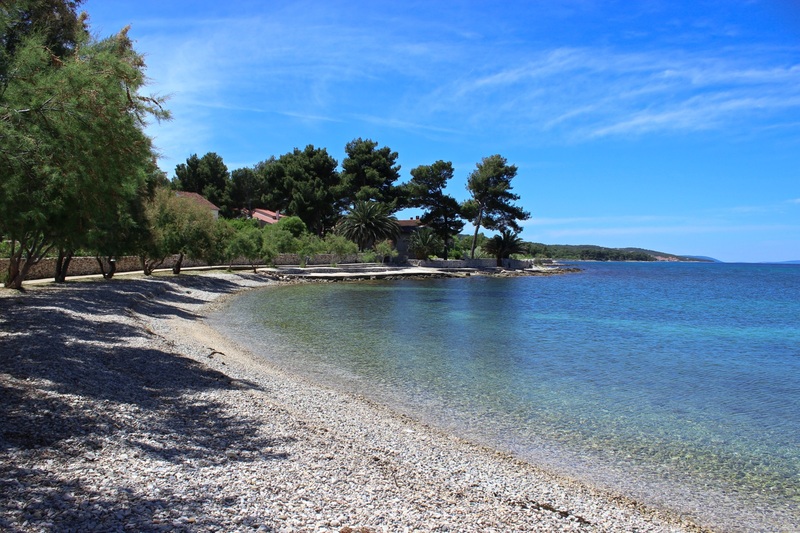 Villa Mirca is situated on island of Brač, one of the most beautiful and easily accessible Croatian islands, in peaceful village Mirca, 3km from the lively town of Supetar and only 1 hour by ferry from the biggest Dalmatian city of Split. We hadn't made any plans about what to do before we arrived but Sanja assisted us with many ideas and arranging all sorts of dayout events and transport including: Taxi boat all day around the coastline, kids loved stopping and jumping off boat into beautiful clear seas; windsurfing in Supetar; Dinghy sailing in Sutivan; Yacht charter from Split; dinner in restaurant up the mountain etc. etc. Teenagers loved the pool table in the villa and adults found gym helpful( to remove some of the affects of all the lovely meals) and wi fi well used by all. The villa provided service as in a hotel but with the privacy and freedom of a villa, towels changed, beds made , villa cleaned inside and out every day. I would have no hesitation in recommending this villa and location to anyone who enjoys beautiful scenery, sea, food and fun thrown in with superb service. We've stayed here with a large (17 people) group, which included 8 children and were suprised with how spacious the villa felt. The furnishings are new and of good quality. The seafront yard was great for breakfasts and dinners at the table next to the pool (try the Villa's chef for a very resonably priced meals - we all enjoyed them). The administrator was very helpful in catering to our every need: arranging boat and local bus trips, stocking up a fridge prior to our arrival, helping us decide on the menu, ordering 9 rental bikes and even baking some great deserts for the 2 birthdays we had during our stay. Definitely recommend. From the moment we arrived we were made to feel welcome and taken care of. Actually, even before we arrived we were being taken care of. The villa manager was very helpful with tips on the best travel routes and with any other inquiries we had. Great advice on the best local restaurants, must see sights and near by villages. I strongly recommend everyone to try the catering service of the villa. The food is wonderful, the setting is picturesque and the convenience of it all makes it priceless. We chose to have it every other night and the food was always delicious while it set the stage for the rest of the evening. The Villa is spacious, beautiful, tastefully decorated and located right on the beach so you can easily hear gentle waves crashing on to shore. We were a group of 13 and everyone had lots of privacy. I am definitely looking forward to coming back. The food is wonderful, the setting is picturesque and the convenience of it all makes it priceless. We were 12 adults with five children on the journey. Transport from the airport and adaptations in the home with children beds etc was just as we had requested. The house was lovely and despite all the children and adults, there was a sense of very good space. We had everything we needed with kitchen, entertainment room and large dining area where everyone could sit together. We had three course dinner serving in the house which was an fantastic dining experiences and it was nice to be served food after long days in the sun. The beach is literally right outside the fence. During our stay, any request was always greeted with a desire to help, and there is probably nothing Sanja can not fix or get organized! The house was cleaned and the beds made daily by a sweet lady, and needs for ekstra towels or soap was granted with a smile. We are already looking forward to going back! We were four families renting this villa together (15 persons). 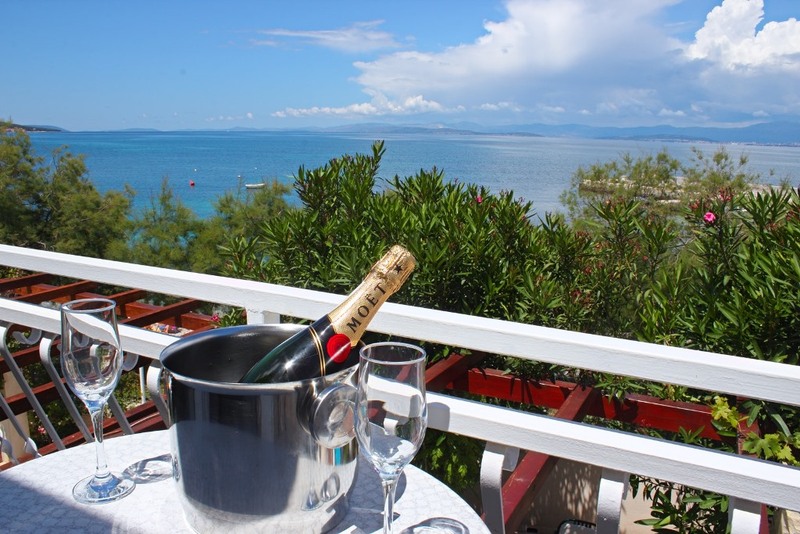 This is a really beautiful place which absolutely fitted our needs and wishes, also the location was perfect for us (by the seaside, a restaurant close by and more in Supetar a short drive away or you can also walk). The owner really made us feel welcome and also provided excellent service. Space for 15 people to dine both inside and outside (not always the case when we have rented elsewhere). We ordered dinner in the villa two evenings and that can certainly be recommended! Nice and private outdoor area and beautiful view, especially from the top floor. The kids really enjoyed the billard and the pool too. I really liked this place and may come back in the future! Space for 15 people to dine both inside and outside (not always the case when we have rented elsewhere). Villa is large and very well equipped, we were a party of 15 and had plenty of space both inside and outside the villa. The Villa is located on the beach and the hardest decisions we had to make was whether to relax by the pool or on the beach. The villa descriptions did not do the villa justice, it is far more spacious and better appointed than we had expected. The daily cleaning keeps the villa immaculate and Sanja did a great job of booking restaurants and a boat trip for us, she was always there to help. A great service, we broke a sunlounger and it was replaced almost immediately. Mirca has a small harbour, with a great wall for jumping/diving off and long shingle beaches, the water is crystal clear. There is a small beach bar, pizzeria and small shop 5 mins walk to the old village centre. Supetar is a 30mins flat walk away and Sutivan 40 mins flat walk the other way. The villa descriptions did not do the villa justice, it is far more spacious and better appointed than we had expected. On arrival at the Villa we were greeted by the owner and shown around the Villa. The Villa is really modern and everything is brand new and of extremely high standard and quality. Having a Gym, pool table, swimming pool, ping pong table. indoor & outdoor BBQ, and 7 bedrooms makes you feel like a celebrity. The beach is less than a stones throw from the Villa with a couple great restaurants a minutes walk away. The owner arranged at a moments notice days out, taxis's and restaurant booking and all with a smile. Nothing was a problem and we could not have wished for a better Villa. We even got a homemade traditional Island Brac birthday cake from the Owner for my daughters 2nd birthday party that we celebrated while we were there. We loved every minute of our time at the Villa and would highly recommend to everyone as first choice for luxury, comfort and affordability. This was everything and more from a holiday villa! I cannot rate this villa highly enough. It was absolutely perfect. Everything of the highest specification with quality furniture and furnishings. New and high quality linen and a kitchen which was outstandingly equipped. A daily maid service is something to value extremely highly with clean towels everyday - brilliant. Owner/manager Sanja is delightful and as helpful as can be. We had a wonderful time. I cannot rate this villa highly enough. It was absolutely perfect. We are on Tripadvisor. Read or write reviews here! *We respond within max 24 hours! If you do not receive our answer, please check your spam folder or write to us again. You can also leave your phone number and we will be happy to give you a call or chat with you on skype! We have more than 30 years of experience in tourism and hospitality over 2 generations in our family. We are locals, passionate about our island and happy to share this passion with our guests. Contact us with confidence to book you next perfect island vacation in Croatia!